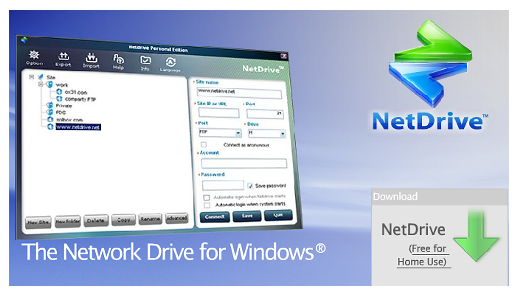 Geek Software of the Week: NetDrive! Wow. Again…. wow! This one rocks! Every so often I run across a free (for personal use) program that just changes the paradigm… this one does! (For me anyway!) It allows you to set up your FTP connection to be a local drive letter on your system. Now, at first that doesn;t sound so interesting… but this makes it look like it is truly local, file attributes, dates, file size amounts, etc., etc. Dewd! Imagine using a “local” PC backup program to back up your FTP site! Oh yeah! Check this one out fer sure!